Focal makes sure that nothing stands in the way of your music, especially your amplifier. 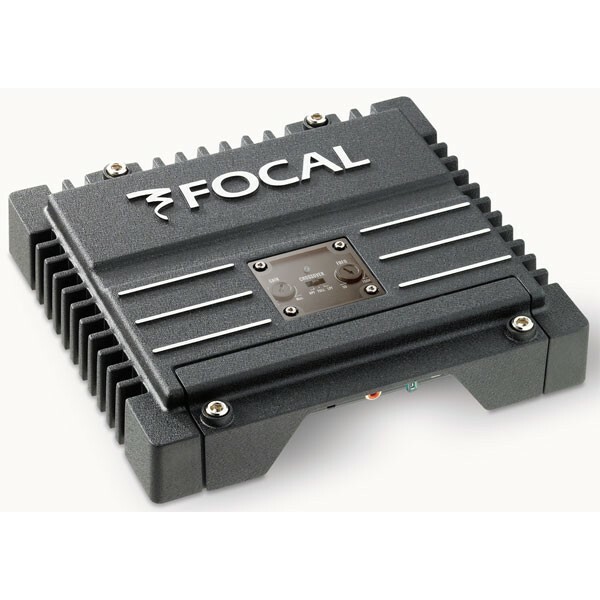 Each Focal Solid2 amp features low-noise inputs that let you connect to almost any receiver � even your factory stereo. Available in black, this clean-looking, unassuming amp features an aluminum chassis that disperses heat efficiently, so it runs cool even when you're pushing it hard. The two-channel Focal Solid2 amp puts out 75 watts RMS per channel to a pair of speakers, or you can send up to 200 watts RMS to a subwoofer for some real bass impact. Adjustable high- and low-pass filters shape output so your speakers sound their best in your vehicle. The amp's ultra-high frequency response brings out all the overtones that add realism to your music. Short-circuit, over-current, and thermal overload protection circuits ensure that this full-range amp will reproduce your music with breathtaking realism for years to come.